That's right, we're teaming up with GOG once more to give you a chance at getting a fantastic DRM free Linux game. 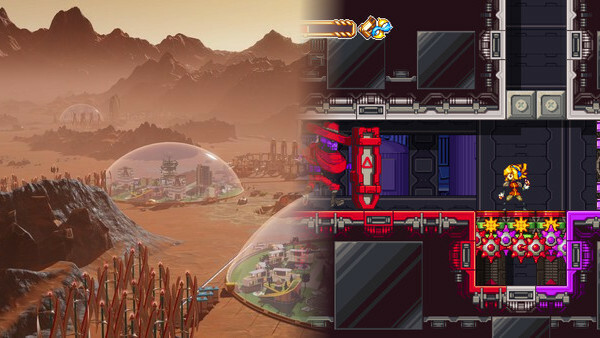 We have copies of both Surviving Mars & Iconoclasts to give away! We're big fans of both games, so it's awesome to be able to run this for you, our awesome readers! Competition open to all existing and new users. Include which game you would like. Tell us an amusing Linux-related joke. Go on—give it your best shot! Winners will be sent a PM (personal message) directly on our site with their key. This will end Sunday 17th at 8PM BST/7PM UTC. Note: If you win, you will need to redeem your key by July 3rd. The GOG summer sale is also still going on, so if you don't fancy a copy of either or if you fancy picking up a cheap DRM free Linux game, see all their Linux games on sale right here. We also have a curated list of games in the summer sale we think you might like, check them out here. Quote Linux geek started working at McDonalds. A customer asked him for a Big Mac and he gave him a bit of paper with FF:FF:FF:FF:FF:FF written on it. I like how Surviving Mars looks! Not really a Linux joke, but it does imply that Linux is better. Linux gamer trying to write a joke, wonders if it will work on all distros. Quote Why Linux developer works in a Basement? Because he doesn't like Windows. Would love me some Surviving Mars! Quote Macs are for those who don't want to know why their computer works. Surviving Mars would be nice.